Book a guaranteed reservation. Pre-pay for a Jiffy Faster Exit! Select your booking dates to get a quote. We are unable to accept any reservations at this time. Please choose a different date to park or try again later. By checking this box you agree to receive a reservation reminder text. Messaging and data rates may apply. I will be renting a vehicle and will provide the information later. Please review your reservation details on the right side or below this form before proceeding. If you need to adjust any information, please use the above navigation to return to a prior step. By clicking "Book Reservation," you agree to our Terms of Service. A copy of your reservation will be emailed to you shortly. Through this email you can print, edit or cancel your reservation. If you do not receive it in the next 2-3 minutes, please check your spam folder. You may also print your voucher by clicking the button below. If you have any questions regarding your reservation, you may call us at or email . 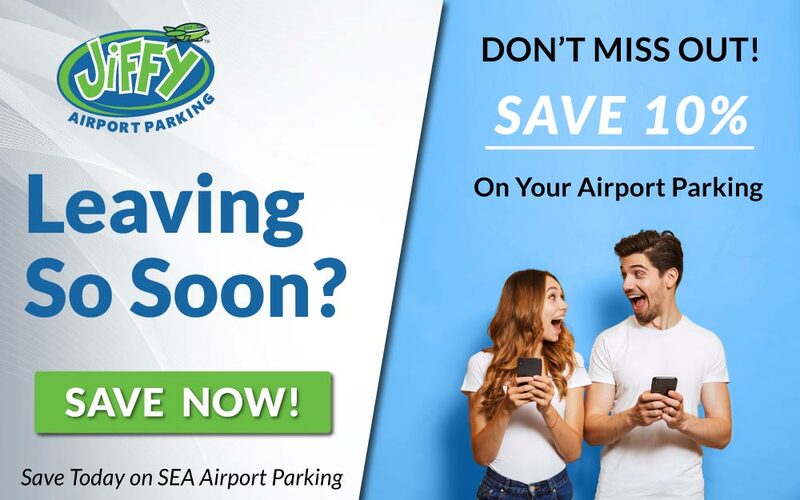 Click the button below for a special 10% off discount for your Jiffy Seattle Airport Parking!